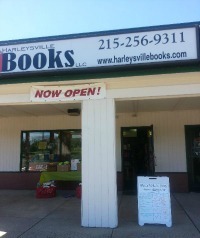 New Owner at Harleysville Books in Pa.
Shelly Plumb, owner of Harleysville Books in Harleysville, Pa., has sold the store to Stephanie Steinly, a five-year staff member who has worked operations and programming, as noted by NAIBAhood News. Plumb opened the store in 2006 and has been a New Atlantic Independent Booksellers Association board member, a NAIBA children's committee member and hosted NAIBAhood Gatherings. 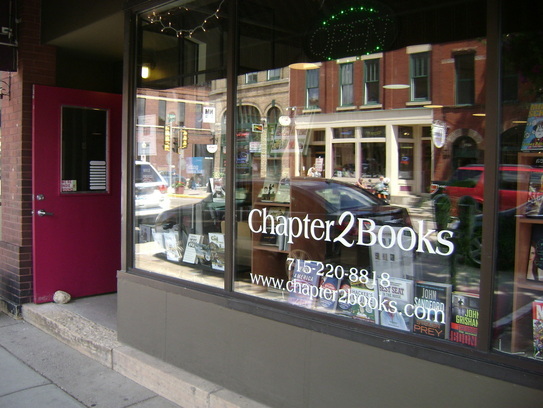 Brian and Sue Roegge, co-owners of Chapter2 Books, Hudson, Wis., have a new home after signing the lease on a space at 226 Locust Street, Suite 3. The Star Tribune reported that after losing the lease on their current store, the booksellers had struggled to find the right location in the city's little riverfront downtown and "up until two days ago had figured their indie bookstore was going to have to close." Then "their luck turned," the Star Tribune wrote. The location "is a spacious 1,250 square feet with great lighting" and big windows, according to Sue. Chapter2 closes its old store tonight, and the plan is to re-open by early next week in the new space. Next Tuesday, the American Booksellers Association and Advocates for Independent Business will be holding an Advocacy Day in Washington, D.C., in support of sales tax fairness, Bookselling This Week reported. They plan to meet with members of the U.S. House Judiciary Committee to provide member retailers located in Judiciary Committee districts the opportunity to advocate directly on behalf of e-fairness. Last May the Senate overwhelmingly passed the Marketplace Fairness Act, which addresses the issue, but the House has been slow to move on the bill. ABA members participating in Advocacy Day are ABA president Steve Bercu, BookPeople, Austin, Tex. ; Alexis Akre, Greenlight Bookstore, Brooklyn, N.Y.; Lisa Baudoin, Books & Company, Oconomowoc, Wis.; Danny Givens, Givens Books & Little Dickens, Lynchburg, Va.; Jill Hendrix, Fiction Addition, Greenville, S.C.; Michael Link, Joseph-Beth Booksellers, Cincinnati, Ohio; Mollie Loughlin, The Book Vine, Cherokee, Iowa; and Andy Nettles, Back of Beyond Books, Moab, Utah. "We are very grateful to all the ABA bookstore members and the AIB association retail members that are taking time out of their busy schedules to participate in this Advocacy Day," said ABA CEO Oren Teicher. "This very important outreach to members of the Judiciary Committee is coming at a critical time, as the committee's focus that day will be entirely on sales tax fairness." Special World Book Night editions of Solomon Northup's Twelve Years a Slave have been printed by Dover Publications and will be sent to select participating bookstores and libraries, which will get them to local schools as part of the April 23 celebration. "With the attention brought to this important book by the award-winning movie, we felt that we should make it available as part of World Book Night's mission," said WBN U.S. executive director Carl Lennertz. "One third of our half million free books each year go into underfunded rural and urban high schools, and when Dover Publications offered to work with us on this, we jumped at the chance." Dover's Steven Sussman added: "We love what World Book Night stands for: getting books to those without ready access. We are thrilled to be printing this book for students who will be able to read this vital work of American history." Ginjer Buchanan, Ace and Roc Books editor-in-chief, will retire at the end of March after 30 years. During her career, she was nominated five times for the Hugo Award for Best Editor, Long Form and was a World Fantasy Award finalist in the Special Award, Professional category. In 2013 she received both the Solstice Award from the Science Fiction and Fantasy Writers of America and the Skylark Award from the New England Science Fiction Association, for her contributions to the field. "I've been very fortunate to work for three decades with many of the same colleagues and, in fact, many of the same authors," she said. "I will miss them all--but, since my job came out of my passion for the genre of science fiction and fantasy, I expect that I will be seeing them at conferences and conventions in the future." Kieron Smith, former managing director of the Book Depository (now owned by Amazon), plans to launch an online global bookseller called Best Little Bookshop this spring. The Bookseller reported that the website "will sell a wide range of books from all publishers, but it will also contain profiles where other 'partner' booksellers from around the world will be able to offer collections of specialist and hard-to-find, unusual books." Smith, who left the Book Depository last November after five years with the company, described his new enterprise as "a collaborative effort to offer something new." "We believe good bookselling is a craft, that careful selection and exceptional service make for more delighted book buyers," he said. "By being independently minded--not driven by algorithms to create book lists--we believe that we can add a human touch to book buying that is sorely missing online." Publishers will also be able to set up profiles to sell directly to consumers from the website, the Bookseller wrote. The platform will not sell e-books. 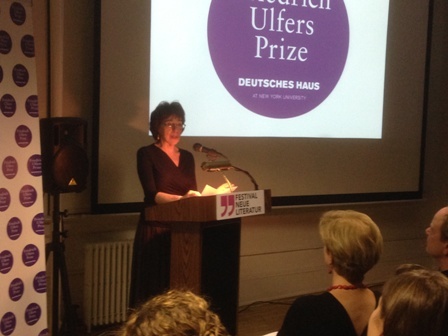 Sara Bershtel, publisher at Metropolitan Books, received the Friedrich Ulfers Prize last night at the opening reception of the fifth annual Festival Neue Literatur at the Goethe Institute in New York, N.Y. The annual prize, launched last year, honors a writer, critic or scholar who has championed German-language literature in the United States. Bershtel remarked that she never set out to explicitly disseminate German literature in the U.S. but, as a publisher, "you end up publishing not what you know, but who you are." The Festival Neue Literatur will run until March 2. As a gift to fans, thriller author Joseph Finder is offering a signed, limited edition bookplate inspired by the work of Rockwell Kent, the illustrator and printmaker who created bookplates between 1912 and 1968. Finder commissioned illustrator Kevin Sprouls, creator of the Wall Street Journal's iconic "hedcut" portraits, to create an "image of a man surrounded by books, reading them." Signed copies of the result can be found on Finder's website, which also has a link to examples of Kent's work. This artistic bookplate might make a good match for the author's standalone thriller, Suspicion, coming from Dutton May 27. The Texas Book Festival, scheduled for October 25-26 this year, will be joined for the first time by the newly renamed Texas Teen Book Festival on October 18. Formerly known as the Austin Teen Book Festival, the annual gathering of YA authors and readers attracted a record audience of 4,000 in 2013. It has been sponsored by the Austin Public Library Friends Foundation since 2011. "It's invigorating to join forces with the dedicated collaborative that has nurtured this grassroots young adult literary festival to where it is today," said Lois Kim, executive director of the Texas Book Festival. "With back-to-back festivals, we aim to put books and reading front and center for all Texans this October." The Texas Teen Book Festival is co-presented by the Library Foundation and the Texas Book Festival, with programming partner and co-founder BookPeople as well as venue sponsor St. Edward's University, where the teen festival will be held. 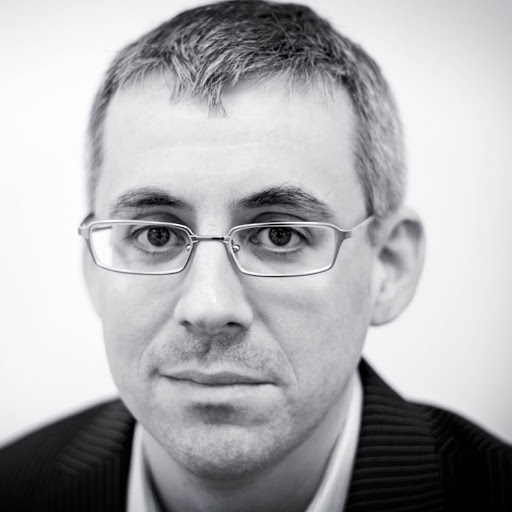 Michael Barrs has been promoted to director of marketing of It Books. He has been associate director of marketing for It Books and Harper Design. He joined HarperCollins in 2005. Betsy Bloom has joined Simon & Schuster Children's Division as marketing coordinator in the Education & Library Marketing Group. She was formerly marketing assistant to Wendy Sheanin in the Corporate Marketing Group. Today on Fresh Air: Colm Tóibín, author of The Testament of Mary: A Novel (Scribner, $13, 9781451692389). Today on CNN's Anderson Cooper: Su Meck, co-author of I Forgot to Remember: A Memoir of Amnesia (Simon & Schuster, $25, 9781451685817). Tonight on HBO's Real Time with Bill Maher: Christopher Leonard, author of The Meat Racket: The Secret Takeover of America's Food Business (Simon & Schuster, $28, 9781451645811). Tomorrow on MSNBC's Live Weekend with Craig Melvin: Lisa Bloom, author of Suspicion Nation: The Inside Story of the Trayvon Martin Injustice and Why We Continue to Repeat It (Counterpoint, $25, 9781619023277). She will also be on MSNBC's Melissa Harris-Perry on Sunday. Sunday on ABC's This Week with George Stephanopoulos: Misty Copeland, author of Life in Motion: An Unlikely Ballerina (Touchstone, $24.99, 9781476737980). Jack Thorne (How I Live Now) will write the script for Sandman at Warner Bros "based on the pitch that David Goyer made for his treatment for the Neil Gaiman comic book classic," Deadline.com reported. Joseph Gordon-Levitt is producing with Goyer "and the hope is for him to star and possibly direct.... The potential payoff is a highly original potential franchise, if Goyer, Gordon-Levitt and Warner Bros could pull it off." Gary Ross (The Hunger Games, Seabiscuit, Pleasantville) has been signed to write East of Eden, the new adaptation of John Steinbeck's novel starring Jennifer Lawrence. According to the Hollywood Reporter, "Brian Grazer and Imagine Entertainment are producing for Universal Pictures and Ross is already attached to direct." Nominees have been announced for the Science Fiction and Fantasy Writers of America Nebula Awards, the Ray Bradbury Award for Outstanding Dramatic Presentation and the Andre Norton Award for Young Adult Science Fiction and Fantasy Book. Winners will be named in May at SFWA's Nebula Awards banquet in San Jose, Calif.
From the author of The Dressmaker comes a moving historical novel about a bold young woman drawn to the looms of Lowell, Mass.--and to the one man with whom she has no business falling in love: The Daring Ladies of Lowell (Doubleday, February 25, 2014). Kate Alcott is the pseudonym for journalist Patricia O'Brien, who has written several books, both fiction and nonfiction. She lives with her husband in Washington, D.C.
At first, The Goldfinch by Donna Tartt was there--but it's too good to risk reading only a few pages a night and then dozing off. So I've upgraded it to the breakfast table, when I'm wide awake and ready to plunge into a great story--and stay there. Almost finished! Little Women (Louisa May Alcott) and all the adventures of Nancy Drew (Carolyn Keene). I used to fake being sick so I could stay home and read the latest of Nancy's wonderful adventures. I asked my mother years later if she had ever caught on. She rolled her eyes and said, "Yes." Hilary Mantel, Edith Wharton, Wallace Stegner, Gabriel García Márquez, Jane Gardam (author of the wonderfully haunting Old Filth). But naming only five makes me feel disloyal to all the others I have read and loved and learned from. Finnegans Wake by James Joyce. I can be honest about this, because nobody I know understands it, with the exception of my husband. Life After Life by Kate Atkinson--her whole premise of living alternate lives, "what could have been," is magically intriguing. It stays in my head, and I am not above collaring friends and urging them to read it. And as for non-fiction: The Devil in the White City by Erik Larson is both a great story and superb journalism. Winter's Tale by Mark Helprin. The original cover was of a deep blue sky with a horse flying gracefully over a wintery New York City. I saw it years ago in a bookstore window and rushed right in to buy it. It did not disappoint me. Little Women--if Jo could be a writer, could I? Why not? So from the age of 10, I didn't have a single thought about law school or anything else--I knew what I wanted to do. I wanted to write stories. Angle of Repose by Wallace Stegner--a lovely book of courage, love and passing time. Anne de Courcy is a tireless researcher into the lives and times of English people and places. 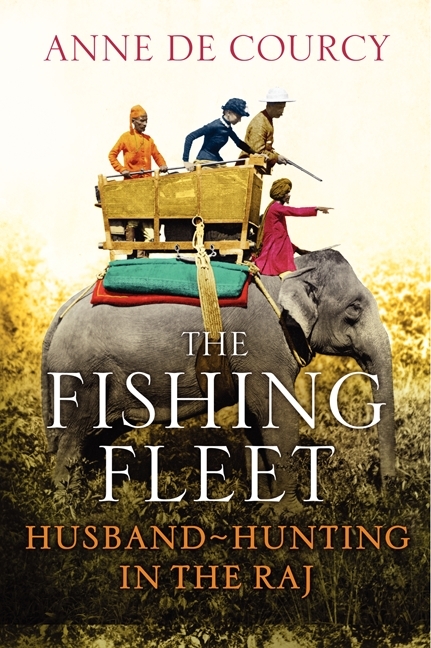 In The Fishing Fleet, she takes on the Raj--a period lasting from 1858, when the rule of the British East India Company was transferred to the crown, until 1947. During that time, women, some as young as 16, were packed off to India because, as de Courcy explains, "the plight of the gently born, softly brought up middle-class woman, in particular, exercised both the Government and the popular imagination: because of her class, most forms of labour were 'banned'; because of her lack of education she was ill-equipped to support herself; because of her lack of independence she could not, like her brothers, seek her fortune overseas--and because so many of her brothers did, her pool of potential husbands was correspondingly smaller." The alternative was eternal spinsterhood as a governess, a "companion" to wealthy older women, or some other form of domestic service. De Courcy (The Viceroy's Daughters) had access to reams of information in the form of letters, memoirs and diaries, in addition to a comprehensive bibliography of all matters Raj. This embarrassment of riches at times threatens to overwhelm her narrative, which can get repetitive when it comes to the ball gowns the young women brought with them, the parties they attended, the tennis, the golf.... The most compelling parts of The Fishing Fleet focus on the trip out and the anecdotal reminiscences. The ships were small, the weather mostly bad, the journey about four months long, with dismal accommodations. Nevertheless, waves of women continued to arrive in India, where the ratio of men to women was 4 to 1, and were immediately caught up in a swirl of courtship. If a girl wanted a husband, she could find one, or he would find her. If the man was in a hurry to get back to his plantation, an acquaintance might lead to a proposal in less than two weeks. Shelf Talker: Anne De Courcy draws upon the diaries and memoirs of decades' worth of single women who left England to find their mates among the surplus of single men in India. Handselling is many, many things, and placing the right book in the hands of its ideal reader is just the proverbial iceberg tip. Below the surface lurk intangibles like magic and instinct, tempered by experience, success and rejection. Also luck. Also trust. Most of the excellent handsellers I've known--and there are many--display a natural affinity for the classic "You've got to read this!" moment with a customer, which can be repeated over and over without sounding rote. All they need is the right environment in which to be turned loose. Until I became a handseller, I never would have imagined I had the gift; didn't even know it existed. Jill Hendrix, owner of Fiction Addiction, Greenville, S.C., is one of those great handsellers I've encountered over the years. Last week we showcased her innovative "Trust Fall" promotion as a "Cool idea of the Day." And it is. "How much do you trust Fiction Addiction? Will you take a trust fall with us?" she asked in a January e-mail to customers. Turns out, they trusted her a lot. To date, more than 60 copies of Andy Weir's The Martian have been sold and Hendrix may survey the participants to see whether "there would be any interest in this as an ongoing idea... perhaps the Trust Fall Bookclub." Since first learning about the promotion, I've been toying with the idea that all handselling is a Trust Fall. Those Fiction Addiction customers who were willing to pre-order the novel sight unseen, based only on the confidence they had in their favorite local bookseller, certainly exhibited a profound counter-algorithmic faith. But Trust Fall handselling also goes well beyond that example to include variations like daily sales floor interactions, telephone/e-mail/social media conversations, shelf-talkers, "blind date with a book" displays, signed first edition clubs and much more. "To me, handselling is when customers decide to buy a book they otherwise wouldn't have based on your recommendation, whether that recommendation comes through a face-to-face conversation, our e-mail newsletter, a shelf-talker, a post on Facebook, etc.," Hendrix said. I agree, and wonder how many other frontline booksellers discovered the mystery of handselling only after getting into the business. I'll admit that when I was first interviewed for a bookstore job in 1992, I was a little flummoxed by the notion that customers would even consider my recommendations. I'd been shopping in bookstores for decades and rarely spoke with the staff (yes, I was one of those). 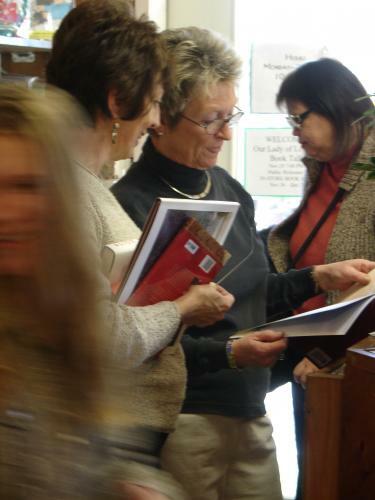 As a bookseller, however, I was amazed and pleased by the curiosity people had about the books I read. And once I'd earned their trust, even when they didn't like a particular suggestion, they still came back for more. Hendrix, as it happens, followed a similar path. "We were big library people growing up, so the first time I remember really shopping on my own for books was in college at Yale," she recalled. "If I'm remembering correctly, Atticus Books would have some shelf talkers with suggestions. After college I lived in New York and mostly shopped at chains and don't remember even seeing a Staff Picks section so, like you, I never asked for suggestions. I depended instead on a friend who read much more than me." Maybe great handsellers are born and made. I don't recall precisely when I realized that so many readers were taking Trust Falls with me on new books because it all seems so natural and inevitable, in retrospect. Handselling, above all, is just a private conversation--whatever form that may take--between one bookseller and one reader. 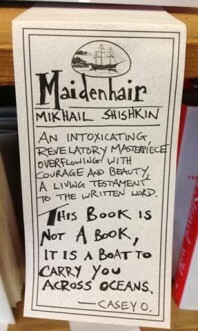 You don't just "sell"; you make certain books irresistible (or try to), and trust is a critical part of that exchange. If all this sounds like a romantic notion of what a bookseller should be, then I stand guilty as charged; a handseller to the end. At its best, handselling can be an intricate Trust Fall dance, with the steps changing, often imperceptibly, each time the music starts--or a fine new book is released.